Originating in the mid-1960s among British and American musicians, the sounds of psychedelic rock invokes three core effects of LSD: depersonalization, dechronicization, and dynamization; all of which detach the user from reality. 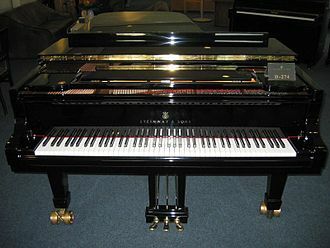 Musically, the effects may be represented via novelty studio tricks, electronic or non-Western instrumentation, disjunctive song structures, and extended instrumental segments. Some of the earlier 1960s psychedelic rock musicians were based in folk, jazz, and the blues, while others showcased an explicit Indian classical influence called "raga rock". In the 1960s, there existed two main variants of the genre: the whimsical British pop-psychedelia and the harder American West Coast acid rock. While "acid rock" is sometimes deployed interchangeably with the term "psychedelic rock", it also refers more specifically to the heavier and more extreme ends of the genre. The peak years of psychedelic rock were between 1966 and 1969, with milestone events including the 1967 Summer of Love and the 1969 Woodstock Rock Festival, becoming an international musical movement associated with a widespread counterculture before beginning a decline as changing attitudes, the loss of some key individuals and a back-to-basics movement, led surviving performers to move into new musical areas. 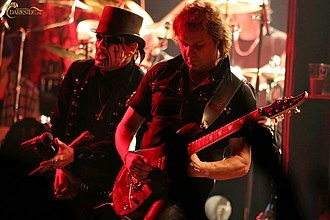 The genre bridged the transition from early blues and folk-based rock to progressive rock and hard rock, and as a result contributed to the development of sub-genres such as heavy metal. Since the late 1970s it has been revived in various forms of neo-psychedelia. The term "psychedelic" was coined in 1956 by psychiatrist Humphry Osmond first as an alternative descriptor for hallucinogenic drugs in the context of psychedelic psychotherapy. As the countercultural scene developed in San Francisco, the terms acid rock and psychedelic rock were used in 1966 to describe the new drug-influenced music and were being widely used by 1967. The terms psychedelic rock and acid rock are often used interchangeably, but acid rock may be distinguished as a more extreme variation that was heavier, louder, relied on long jams, focused more directly on LSD, and made greater use of distortion. 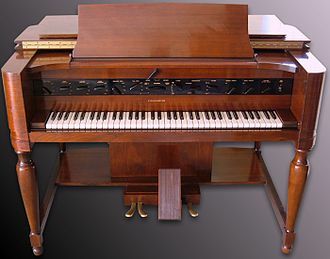 In the popular music of the early 1960s, it was common for producers, songwriters, and engineers to freely experiment with musical form, arrangements, unnatural reverb, and other sound effects. Some of the best known examples are Phil Spector's Wall of Sound production formula and Joe Meek's use of homemade electronics for acts like the Tornados. XTC's Andy Partridge interprets the music of psychedelic groups as a "grown-up" version of children's novelty records, believing that many acts were trying to emulate those records that they grew up with; "They use exactly the same techniques—sped-up bits, slowed-down bits, too much echo, too much reverb, that bit goes backwards. ... There was no transition to be made. You go from things like 'Flying Purple People Eater' to 'I Am the Walrus'. They go hand-in-hand." Music critic Richie Unterberger says that attempts to "pin down" the first psychedelic record are therefore "nearly as elusive as trying to name the first rock & roll record". Some of the "far-fetched claims" include the instrumental "Telstar" (produced by Meek for the Tornados in 1962) and the Dave Clark Five's "massively reverb-laden" "Any Way You Want It" (1964). The first mention of LSD on a rock record was the Gamblers' 1960 surf instrumental "LSD 25". [nb 1] A 1962 single by The Ventures, "The 2000 Pound Bee", issued forth the buzz of a distorted, "fuzztone" guitar, and the quest into "the possibilities of heavy, transistorised distortion" and other effects, like improved reverb and echo began in earnest on London's fertile rock 'n' roll scene. By 1964 fuzztone could be heard on singles by P.J. Proby, and the Beatles had employed feedback in "I Feel Fine", their 6th consecutive No. 1 hit in the UK. 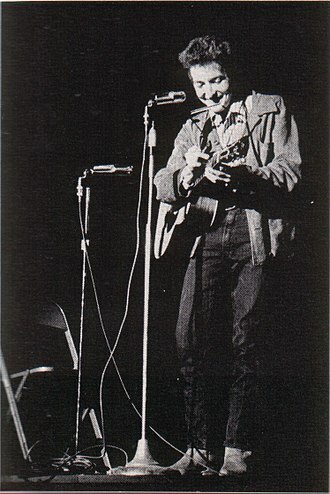 American folk singer Bob Dylan was a massive influence on mid 1960s rock music. He led directly to the creation of folk rock and the psychedelic rock musicians that followed, and his lyrics were a touchstone for the psychedelic songwriters of the late 1960s. Virtuoso sitarist Ravi Shankar had begun in 1956 a mission to bring Indian classical music to the West, inspiring jazz, classical and folk musicians; and by the mid-1960s, a generation of young rock musicians who would make raga rock part of the psychedelic rock aesthetic and one of the many intersecting cultural motifs of the era. Meanwhile, in British folk, blues, drugs, jazz and eastern influences blended in the early 1960s work of Davy Graham, who adopted modal guitar tunings to transpose Indian ragas and Celtic reels. Graham was a "profound influence" on Scottish folk virtuoso Bert Jansch and other pioneering guitarists across a spectrum of styles and genres in the mid-1960s. [nb 2] Jazz saxophonist and composer John Coltrane had a similar impact, as the exotic sounds on his albums My Favorite Things (1960) and A Love Supreme (1964), the latter influenced by the ragas of Shankar, were source material for guitar players and others looking to improvise or "jam". Molly Longman of mic.com writes that in terms of bridging the relationship between music and hallucinogens, the Beatles and the Beach Boys were the era's most pivotal acts. In 1965, the Beach Boys' leader Brian Wilson started exploring song composition while under the influence of psychedelic drugs, and after being introduced to cannabis in 1964 by Dylan, members of the Beatles also began using LSD. The considerable success enjoyed by these two bands allowed them the freedom to experiment with new technology over entire albums. Producer George Martin, who was initially known as a specialist in comedy and novelty records, responded to the Beatles' requests by providing a range of studio tricks that ensured the band played a key role in the development of psychedelic effects, including the drug-inspired drone on "Ticket to Ride" (1965). In Unterberger's opinion, the Byrds, emerging from the Los Angeles folk rock scene, and the Yardbirds, from England's blues scene, were more responsible than the Beatles for "sounding the psychedelic siren". Drug use and attempts at psychedelic music moved out of acoustic folk-based music towards rock soon after the Byrds "plugged in" to electric guitars to produce a chart topping version of Dylan's "Mr. Tambourine Man" in the summer of 1965, which became a folk rock standard. [nb 4] On the Yardbirds, Unterberger identifies lead guitarist Jeff Beck as having "laid the blueprint for psychedelic guitar", and the band for defining psychedelic rock's "manic eclecticism ... With their ominous minor key melodies, hyperactive instrumental breaks (called rave-ups), and use of Gregorian chants." All were present on Having a Rave-Up, the Yardbirds' U.S.-only album on which Beck "emerged as a full-fledged guitar hero", in the view of Guitar Player magazine. "Heart Full of Soul" (June 1965) was a hit single driven by a distorted fuzz guitar riff by Beck made to simulate the drone of a sitar, which "carried the energy of a new scene" and heralded the arrival of new Eastern sounds. The Kinks would also incorporate guitars to mimic the drones of Indian music on "See My Friends", another Top 10 hit just a few weeks later. The Beatles' "Norwegian Wood" from the December 1965 album Rubber Soul marked the first released recording on which a member of a Western rock group played the sitar. [nb 5] The song is generally credited for sparking the sitar craze of the mid-1960s – a trend which fueled the growth of raga rock as the India exotic became part of the essence of psychedelic rock. [nb 6] Rock author George Case recognises Rubber Soul as one of two Beatles albums that "marked the authentic beginning of the psychedelic era". [nb 7] Music critic Robert Christgau similarly wrote that "Psychedelia starts here", while San Francisco historian Charles Perry said the album became "the soundtrack of the Haight-Ashbury, Berkeley and the whole circuit", where pre-hippie students recognised that the songs were inspired by drugs. According to Kevin T. McEneaney, the Grateful Dead "invented" acid rock in front of a crowd of concertgoers in San Jose, California on December 4, 1965, the date of the second Acid Test held by novelist Ken Kesey and The Merry Pranksters. Their stage performance involved the use of strobe lights to reproduce LSD's "surrealistic fragmenting" or "vivid isolating of caught moments". The Acid Test experiments subsequently launched the entire psychedelic subculture. Musicologist William Echard writes that in 1966, "the psychedelic implications" advanced by recent rock experiments "became fully explicit and much more widely distributed," and by the end of the year, "most of the key elements of psychedelic topicality had been at least broached." Author Jim DeRogatis says the birth date of psychedelic (or acid) rock is "best listed at 1966". Music journalists Pete Prown and Harvey P. Newquist locate the "peak years" of psychedelic rock between 1966 and 1969. 1966 saw the media coverage of rock music change considerably as the music became reevaluated as a new form of art in tandem with the growing psychedelic community. In February and March, two singles were released that later achieved recognition as the first psychedelic hits: the Yardbirds' "Shapes of Things" and the Byrds' "Eight Miles High". The former reached the top 10 in the UK and the top 20 in the US, and continued the Yardbirds' exploration of guitar effects, Eastern-sounding scales,[nb 10] and shifting rhythms that began with their 1965 singles. By overdubbing guitar parts, Beck layered multiple takes for his solo, which included extensive use of fuzz tone and harmonic feedback. The Yardbirds' lyrics, described as "stream-of-consciousness", have been interpreted as pro-environmental or anti-war. 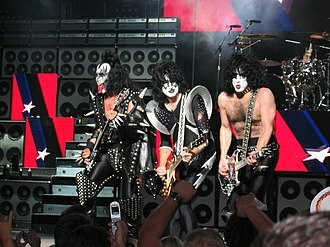 They became the first British band to have the term applied to one of its songs. Meanwhile, the Byrds moved away from their earlier folk rock with Roger McGuinn's 12-string Rickenbacker guitar interpretation of free jazz (Coltrane) and Indian raga-sounding scales (Shankar). The Byrds' lyrics were widely taken to refer to drug use, although the group denied it at the time. [nb 11] "Eight Miles High" peaked in the top 20 in the US. and the top 30 in the UK. Contributing to psychedelia's emergence into the pop mainstream was the release of Beach Boys' Pet Sounds (May 1966) and the Beatles' Revolver (August 1966). Often considered one of the earliest albums in the canon of psychedelic rock,[nb 12] Pet Sounds contained many elements that would be incorporated into psychedelia, with its artful experiments, psychedelic lyrics based on emotional longings and self-doubts, elaborate sound effects and new sounds on both conventional and unconventional instruments. 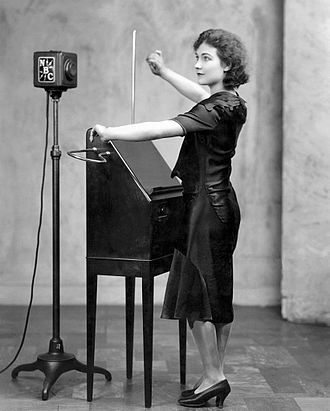 The album track "I Just Wasn't Made for These Times" contained the first use of theremin sounds on a rock record. Scholar Philip Auslander says that even though psychedelic music is not normally associated with the Beach Boys, the "odd directions" and experiments in Pet Sounds "put it all on the map. ... basically that sort of opened the door — not for groups to be formed or to start to make music, but certainly to become as visible as say Jefferson Airplane or somebody like that." Like Pet Sounds, Revolver explored musical soundscapes that could not be replicated in concert, even with the addition of an orchestra. The Beatles' May 1966 B-side "Rain", recorded during the Revolver sessions, was the first pop recording to include reversed sounds. 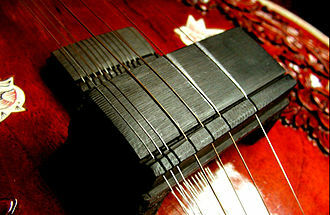 It makes full use of an assortment of studio tricks such as varispeed and backwards taping, combining them with a droning melody that further highlights a growing interest in non-Western musical form. Author Simon Philo believes the song to be "the birth of British psychedelic rock". Author Steve Turner recognises the Beatles' success in conveying an LSD-inspired worldview on Revolver, particularly on "Tomorrow Never Knows", as having "opened the doors to psychedelic rock (or acid rock)". In October 1966, the Texas band 13th Floor Elevators debuted with The Psychedelic Sounds of the 13th Floor Elevators. They were the first group to advertise themselves as psychedelic rock, having done so since the end of 1965. [nb 13] The Beach Boys' October 1966 single "Good Vibrations" was another early pop song to incorporate psychedelic lyrics and sounds. 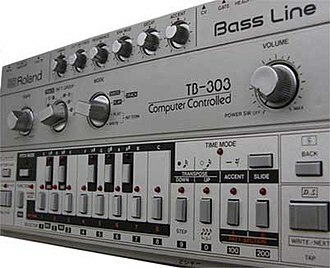 Upon release, the single prompted an unexpected revival in theremins and increased the awareness of analog synthesizers. As psychedelia gained prominence, Beach Boys-style harmonies would be ingrained into the newer psychedelic pop. 1967 was when psychedelic rock received widespread media attention and a larger audience beyond local psychedelic communities. From 1967 to 1968, psychedelic rock was the prevailing sound of rock music, either in the whimsical British variant, or the harder American West Coast acid rock. Since most of the US acts had yet to release records in the UK, most of the British groups based their sound on what they'd simply read or heard about psychedelic music. [nb 14] Compared with American psychedelia, British psychedelic music was often more arty in its experimentation, and it tended to stick within pop song structures. In February 1967, the Beatles released the double A-side single "Strawberry Fields Forever" / "Penny Lane", which Ian MacDonald says launched both the "English pop-pastoral mood" typified by bands such as Pink Floyd, Family, Traffic and Fairport Convention, and English psychedelia's LSD-inspired preoccupation with "nostalgia for the innocent vision of a child". According to Simonelli, the Beatles' single heralded the group's brand of Romanticism as a central tenet of psychedelic rock. Pink Floyd's "Arnold Layne" (March 1967) and "See Emily Play" (June 1967), both written by Syd Barrett, helped set the pattern for British pop-psychedelia. Jefferson Airplane's Surrealistic Pillow (February 1967) was the first album to come out of San Francisco during this era, which sold well enough to bring the city's music scene to the attention of the record industry: from it they took two of the earliest[contradictory] psychedelic hit singles: "White Rabbit" and "Somebody to Love". Soon, British clubs like the UFO Club, Middle Earth Club, The Roundhouse, the Country Club and the Art Lab were drawing capacity audiences with psychedelic rock and ground-breaking liquid light shows. A major figure in the development of British psychedelia was the American promoter and record producer Joe Boyd, who moved to London in 1966. He co-founded venues including the UFO Club, produced Pink Floyd's first single, "Arnold Layne", and went on to manage folk and folk rock acts including Nick Drake, the Incredible String Band and Fairport Convention. Psychedelic rock's popularity accelerated following the success of the Monterey Pop Festival and the release of the Beatles' album Sgt. Pepper's Lonely Hearts Club Band in the same week of June. The album was the first commercially successful work that critics heralded as a landmark aspect of psychedelia, and the Beatles' mass appeal meant that the album would be played virtually everywhere. 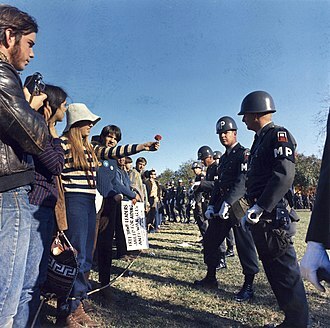 The Summer of Love of 1967 saw a huge number of young people from across America and the world travel to the Haight-Ashbury district of San Francisco, boosting the population from 15,000 to around 100,000. It was prefaced by the Human Be-In event in March and reached its peak at the Monterey Pop Festival in June, the latter helping to make major American stars of Janis Joplin, lead singer of Big Brother and the Holding Company, Jimi Hendrix, and the Who. Existing "British Invasion" acts now joined the psychedelic revolution, including Eric Burdon (previously of The Animals) and The Who, whose The Who Sell Out (December 1967) included psychedelic influenced tracks "I Can See for Miles" and "Armenia City in the Sky". The Incredible String Band's The 5000 Spirits or the Layers of the Onion (July 1967) developed their folk music into full blown psychedelia, which would be a major influence on psychedelic rock. According to author Edward Macan, there ultimately existed three distinct wings of British psychedelic music. 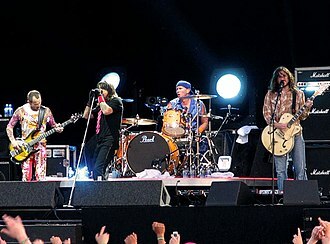 The first was based on a heavy, electric reinterpretation of the blues played by the Rolling Stones, adding guitarist Pete Townshend of the Who's pioneering power chord style to the mix. Groups of this nature were dominated by Cream, the Yardbirds, and Hendrix. 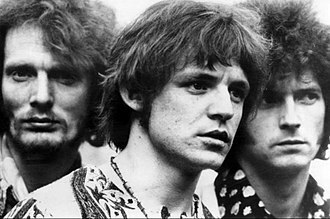 The second drew strongly from jazz sources and was represented early on by Traffic, Colosseum, If, and the Canterbury scene spearheaded by Soft Machine and Caravan. Their music was considerably more complex than the Cream/Hendrix/Yardbirds approach. 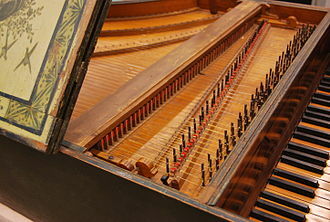 The third wing was represented by the Moody Blues, Pink Floyd, and the Nice, who were influenced by the later music of the Beatles, unlike the other two wings. Several of the English psychedelic bands who followed in the wake of the Beatles' psychedelic Sgt. Pepper's developed characteristics of the Beatles' music (specifically their classical influence) further than either the Beatles or contemporaneous West Coast psychedelic bands. The US and UK were the major centres of psychedelic music, but in the late 1960s scenes began to develop across the world, including continental Europe, Australasia, Asia and south and Central America. In the later 1960s psychedelic scenes developed in a large number of countries in continental Europe, including the Netherlands with bands like The Outsiders, Denmark where it was pioneered by Steppeulvene, and Germany, where musicians began to fuse music of psychedelia and the electronic avant-garde. 1968 saw the first major German rock festival, the Internationale Essener Songtage [de] in Essen, and the foundation of the Zodiak Free Arts Lab in Berlin by Hans-Joachim Roedelius, and Conrad Schnitzler, which helped bands like Tangerine Dream and Amon Düül achieve cult status. A thriving psychedelic music scene in Cambodia, influenced by psychedelic rock and soul broadcast by US forces radio in Vietnam, was pioneered by artists such as Sinn Sisamouth and Ros Serey Sothea. In South Korea, Shin Jung-Hyeon, often considered the godfather of Korean rock, played psychedelic-influenced music for the American soldiers stationed in the country. Following Shin Jung-Hyeon, the band San Ul Lim (Mountain Echo) often combined psychedelic rock with a more folk sound. In Turkey, Anatolian rock artist Erkin Koray blended classic Turkish music and Middle Eastern themes into his psychedelic-driven rock, helping to found the Turkish rock scene with artists such as Cem Karaca, Mogollar and Baris Manco. In Brasil the Tropicalia movement merged Brazilian and African rhythms with psychedelic rock. Musicians who were part of the movement include Caetano Veloso, Gilberto Gil, Os Mutantes, Gal Costa, Tom Zé, and the poet/lyricist Torquato Neto, all of whom participated in the 1968 album Tropicália: ou Panis et Circencis, which served as a musical manifesto. By the end of the 1960s, psychedelic rock was in retreat. Psychedelic trends climaxed in the 1969 Woodstock festival, which saw performances by most of the major psychedelic acts, including Jimi Hendrix, Jefferson Airplane, and the Grateful Dead. In 1966, LSD had been made illegal in the US and UK. In 1969, the murders of Sharon Tate and Leno and Rosemary LaBianca by Charles Manson and his cult of followers, claiming to have been inspired by Beatles' songs such as "Helter Skelter", has been seen as contributing to an anti-hippie backlash. At the end of the same year, the Altamont Free Concert in California, headlined by the Rolling Stones, became notorious for the fatal stabbing of black teenager Meredith Hunter by Hells Angel security guards. Brian Wilson of the Beach Boys, Brian Jones of the Rolling Stones, Peter Green and Danny Kirwan of Fleetwood Mac and Syd Barrett of Pink Floyd were early "acid casualties", helping to shift the focus of the respective bands of which they had been leading figures. 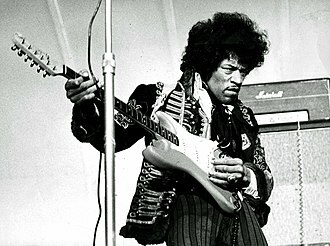 Some groups, such as the Jimi Hendrix Experience and Cream, broke up. Hendrix died in London in September 1970, shortly after recording Band of Gypsys (1970), Janis Joplin died of a heroin overdose in October 1970 and they were closely followed by Jim Morrison of the Doors, who died in Paris in July 1971. By this point, many surviving acts had moved away from psychedelia into either more back-to-basics "roots rock", traditional-based, pastoral or whimsical folk, the wider experimentation of progressive rock, or riff-based heavy rock. Following the lead of Hendrix in rock, psychedelia began to influence African American musicians, particularly the stars of the Motown label. This psychedelic soul was influenced by the civil rights movement, giving it a darker and more political edge than much psychedelic rock. Building on the funk sound of James Brown, it was pioneered from about 1968 by Sly and the Family Stone and The Temptations. Acts that followed them into this territory included Edwin Starr and the Undisputed Truth. [verification needed] George Clinton's interdependent Funkadelic and Parliament ensembles and their various spin-offs took the genre to its most extreme lengths making funk almost a religion in the 1970s, producing over forty singles, including three in the US top ten, and three platinum albums. While psychedelic rock began to waver at the end of the 1960s, psychedelic soul continued into the 1970s, peaking in popularity in the early years of the decade, and only disappearing in the late 1970s as tastes began to change. Acts like Earth, Wind and Fire, Kool and the Gang and Ohio Players, who began as psychedelic soul artists, incorporated its sounds into funk music and eventually the disco which partly replaced it. Many of the British musicians and bands that had embraced psychedelia went on to create progressive rock in the 1970s, including Pink Floyd, Soft Machine and members of Yes. King Crimson's album In the Court of the Crimson King (1969) has been seen as an important link between psychedelia and progressive rock. While bands such as Hawkwind maintained an explicitly psychedelic course into the 1970s, most dropped the psychedelic elements in favour of wider experimentation. 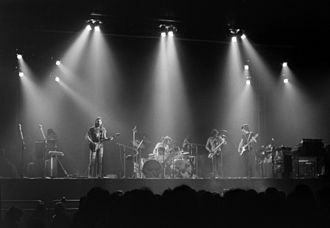 The incorporation of jazz into the music of bands like Soft Machine and Can also contributed to the development of the jazz rock of bands like Colosseum. As they moved away from their psychedelic roots and placed increasing emphasis on electronic experimentation, German bands like Kraftwerk, Tangerine Dream, Can and Faust developed a distinctive brand of electronic rock, known as kosmische musik, or in the British press as "Kraut rock". 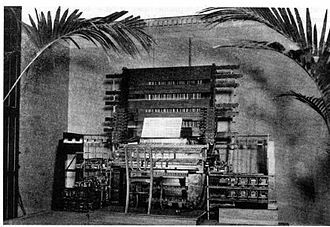 The adoption of electronic synthesisers, pioneered by Popol Vuh from 1970, together with the work of figures like Brian Eno (for a time the keyboard player with Roxy Music), would be a major influence on subsequent electronic rock. Psychedelic rock, with its distorted guitar sound, extended solos and adventurous compositions, has been seen as an important bridge between blues-oriented rock and later heavy metal. American bands whose loud, repetitive psychedelic rock emerged as early heavy metal included the Amboy Dukes and Steppenwolf. From England, two former guitarists with the Yardbirds, Jeff Beck and Jimmy Page, moved on to form key acts in the genre, The Jeff Beck Group and Led Zeppelin respectively. Other major pioneers of the genre had begun as blues-based psychedelic bands, including Black Sabbath, Deep Purple, Judas Priest and UFO. 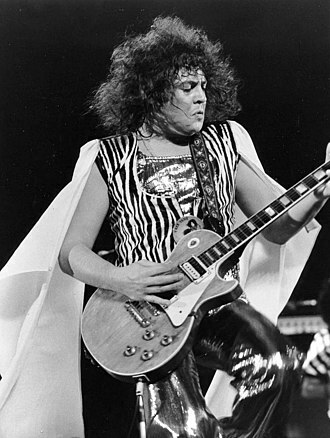 Psychedelic music also contributed to the origins of glam rock, with Marc Bolan changing his psychedelic folk duo into rock band T. Rex and becoming the first glam rock star from 1970. [verification needed] From 1971 David Bowie moved on from his early psychedelic work to develop his Ziggy Stardust persona, incorporating elements of professional make up, mime and performance into his act. 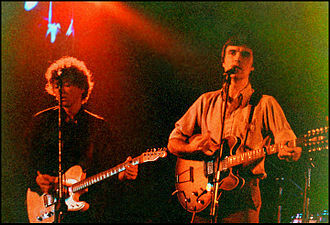 There were occasional mainstream acts that dabbled in neo-psychedelia, a style of music which emerged in late 1970s post-punk circles. 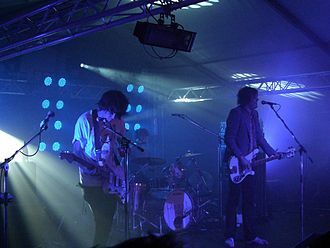 Although it has mainly been an influence on alternative and indie rock bands, neo-psychedelia sometimes updated the approach of 1960s psychedelic rock. In the US in the early 1980s it was joined by the Paisley Underground movement, based in Los Angeles and fronted by acts such as Dream Syndicate, The Bangles and Rain Parade. 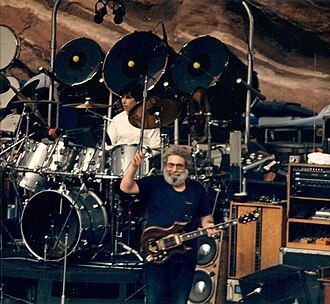 The jam band movement, which began in the late 1980s, was influenced by the Grateful Dead's improvisational and psychedelic musical style. The Vermont band Phish developed a sizable and devoted fan following during the 1990s, and were described as "heirs" to the Grateful Dead after the death of Jerry Garcia in 1995. Emerging in the 1990s, stoner rock combined elements of psychedelic rock and doom metal. Typically using a slow-to-mid tempo and featuring low-tuned guitars in a bass-heavy sound, with melodic vocals, and 'retro' production, it was pioneered by the Californian bands Kyuss and Sleep. Modern festivals focusing on psychedelic music include Austin Psych Fest in Texas, founded in 2008 and Liverpool Psych Fest. ^ Their keyboardist, Bruce Johnston, would go on to join the Beach Boys in 1965. He would recall: "[LSD is] something I've never thought about and never done." ^ The growth of underground culture in Britain was facilitated by the emergence of alternative weekly publications like IT (International Times) and Oz which featured psychedelic and progressive music together with the counterculture lifestyle, which involved long hair, and the wearing of wild shirts from shops like Mr Fish, Granny Takes a Trip and old military uniforms from Carnaby Street (Soho) and King's Road (Chelsea) boutiques. ^ While Beck's influence had been Ravi Shankar records, the Kinks' Ray Davies was inspired during a trip to Bombay, where he heard the early morning chanting of Indian fisherman. The Byrds were also delving into the raga sound by late 1965, their "music of choice" being Coltrane and Shankar records. That summer they shared their enthusiasm for Shankar's music and its transcendental qualities with George Harrison and John Lennon during a group acid trip in Los Angeles. The sitar and its attending spiritual philosophies became a lifelong pursuit for Harrison, as he and Shankar would "elevate Indian music and culture to mainstream consciousness". 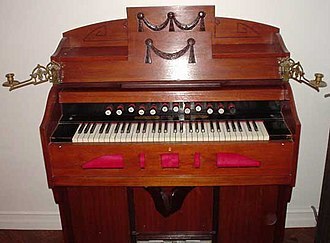 ^ Previously, Indian instrumentation had been included in Ken Thorne's orchestral score for the band's Help! film soundtrack. ^ Particularly prominent products of the scene were the Grateful Dead (who had effectively become the house band of the Acid Tests), Country Joe and the Fish, The Great Society, Big Brother and the Holding Company, The Charlatans, Moby Grape, Quicksilver Messenger Service and Jefferson Airplane. ^ When this proved too small he took over Winterland and then the Fillmore West (in San Francisco) and the Fillmore East (in New York City), where major rock artists from both the US and the UK came to play. ^ Writing in Revolution in the Head: The Beatles' Records and the Sixties, Beatles' historian Ian MacDonald notes that Paul McCartney's guitar solo on "Taxman" from Revolver "goes far beyond anything in the Indian style Harrison had done on guitar, the probable inspiration being Jeff Beck's ground-breaking solo on the Yardbirds' astonishing 'Shapes of Things'". ^ The result of this directness was limited airplay, and there was a similar reaction when Dylan, who had also electrified to produce his own brand of folk rock, released "Rainy Day Women ♯12 & 35" (April 1966), with its repeating chorus of "Everybody must get stoned!". ^ Brian Boyd of The Irish Times credits the Byrds' Fifth Dimension (July 1966) with being the first psychedelic album. ^ Before 1967, British media outlets for psychedelic culture were limited to stations like Radio Luxembourg and pirate radio like Radio London, particularly the programmes hosted by DJ John Peel. ^ Hoffmann 2004, p. 1725, "Psychedelic rock was sometimes referred to as 'acid rock. '"; Browne & Browne 2001, p. 8, "acid rock, also known as psychedelic rock"; DeRogatis 2003, p. 9, "now regularly called 'psychedelic' or 'acid'-rock"; Larson 2004, p. 140, "known as acid rock or psychedelic rock"
^ a b Hicks 2000, p. 63. ^ Hicks 2000, pp. 63–66. ^ a b c Prown & Newquist 1997, p. 48. ^ a b c d Hicks 2000, pp. 64–66. ^ DeRogatis 2003, p. 230. ^ a b c Browne & Browne 2001, p. 8. ^ a b c d e f g Bogdanov, Woodstra & Erlewine 2002, pp. 1322–1323. ^ "Logical Outcome of fifty years of art", LIFE, 9 September 1966, p. 68. ^ a b c DeRogatis 2003, pp. 8–9. ^ Partridge & Bernhardt 2016. ^ a b Bogdanov, Woodstra & Erlewine 2002, p. 1322. ^ a b DeRogatis 2003, p. 7. ^ DeRogatis 2003, pp. 87, 242. ^ "How to Play Like DADGAD Pioneer Davey Graham". Guitar World. 16 March 2017. Retrieved 8 August 2017. ^ Hope 2005, p. 137. ^ a b c Miles 2005, p. 26. ^ a b Longman, Molly (20 May 2016). "Had LSD Never Been Discovered Over 75 Years Ago, Music History Would Be Entirely Different". Music.mic. ^ DeRogatis 2003, pp. 14–15. ^ Pepper, Andrew (25 April 2009). "Top 10 Life Changing Beatles Performances". 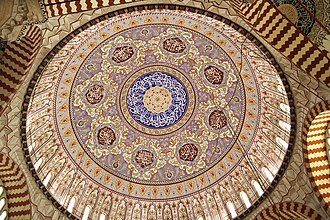 Listverse.com. ^ Hoffmann 2016, p. 269. ^ MacDonald 1998, p. 128. ^ a b R. Unterberger. "Folk Rock: An Overview". Richieunterberger.com. Retrieved 15 March 2010. ^ Bellman 1998, pp. 294–95. ^ a b Lavezzoli 2006, p. 173. ^ Power 2014, Ch.4: Fuzzbox Voodoo. ^ Lavezzoli 2006, p. 154. ^ Lavezzoli 2006, p. 153. ^ Bellman 1998, p. 292. ^ Case 2010, p. 27. ^ Smith 2009, p. 36. ^ Hicks 2000, p. 60. ^ Misiroglu 2015, p. 10. ^ Talevski 2006, p. 218. ^ "The History of Rock 1966". Uncut. 2015. p. 105. ASIN B01AD99JMW. ^ DeRogatis 2003, p. 9. ^ a b c Shephard & Leonard 2013, p. 184. ^ a b Simonelli 2013, p. 100. ^ "Yardbirds – Singles". Official Charts. Retrieved 4 August 2017. ^ Billboard (14 May 1966). "Hot 100". Billboard. 78 (20): 22. ISSN 0006-2510. ^ MacDonald 2007, p. 201 fn1. ^ Bennett 2005, p. 76. ^ Santoro 1991, p. 17. ^ Echard 2017, p. 36. ^ Unterberger 2002, p. 1322. ^ Power 2011, p. 83. ^ Hanley 2015, p. 39. ^ Billboard (21 May 1966). "Hot 100". Billboard. 78 (21): 24. ISSN 0006-2510. ^ "Byrds – Singles". Official Charts. Retrieved 4 August 2017. ^ McPadden, Mike (13 May 2016). "The Beach Boys' Pet Sounds and 50 Years of Acid-Pop Copycats". TheKindland. ^ a b Anon. "Psychedelic Pop". AllMusic. ^ a b Maddux, Rachael (16 May 2011). "Six Degrees of The Beach Boys' Pet Sounds". Wondering Sound. Archived from the original on 4 March 2016. ^ Boyd, Brian (4 June 2016). "The Beatles, Bob Dylan and The Beach Boys: 12 months that changed music". The Irish Times. ^ R. Unterberger, "British Psychedelic", Allmusic. Retrieved 7 June 2011. ^ DeRogatis 2003, pp. 35–40. ^ DeRogatis 2003, p. 14. ^ Reising & LeBlanc 2009, p. 95. ^ Philo 2014, p. 111. ^ a b DeRogatis 2003, pp. 33–39. ^ Schinder & Schwartz 2008, p. 437. ^ Pirate Radio, Ministry of Rock.co.uk. Retrieved 9 February 2010. ^ MacDonald 2005, p. 216. ^ Kitts & Tolinski 2002, p. 6. ^ R. Unterberger, "Nick Drake: biography", Allmusic. Retrieved 7 May 2011. ^ Shephard & Leonard 2013, p. 186. ^ Bogdanov, Woodstra & Erlewine 2002, pp. pp. 29, 1027, 1220. ^ DeRogatis 2003, p. 120. ^ a b Macan 1997, p. 19. ^ a b Macan 1997, p. 20. ^ Macan 1997, p. 21. ^ M. Wood, "Dengue Fever: Multiclti Angelanos craft border-bluring grooves" Spin, January 2008, p. 46. ^ R. Unterberger, "Various Artists: Cambodian Rocks Vol. 1: review", Allmusic retrieved 1 April 2012. ^ "KOREAN PSYCH & ACID FOLK, part 1". Progressive.homestead.com. Retrieved 3 February 2013. ^ V. Karaege, Erkin Koray Allmusic. Retrieved 1 April 2012. ^ a b c d "Psychedelic soul", Allmusic. Retrieved 27 June 2010. ^ Bogdanov, Woodstra & Erlewine 2002, p. 226. ^ DeRogatis 2003, p. 169. ^ Bogdanov, Woodstra & Erlewine 2002, p. 515. ^ Bogdanov, Woodstra & Erlewine 2002, pp. 1330–1331. ^ DeRogatis 2003, p. 212. ^ "The Return of the Jamband". Grateful Web. Retrieved 12 January 2019. ^ Ellis, Iain. "Dead But Not Buried or, When the '90s Took a '60s Turn". Popmatters. Retrieved 12 January 2019. ^ "Phish | Biography & History". AllMusic. Retrieved 12 January 2019. ^ "Phish Shreds America: How the Jam Band Anticipated Modern Festival Culture". Pitchfork. Retrieved 12 January 2019. ^ G. Sharpe-Young, "Kyuss biography", MusicMight. Retrieved 10 December 2007. ^ "Stoner Metal", Allmusic. Retrieved 22 May 2009. ^ E. Gossett, "Austin Psych Fest announces 2014 lineup", Paste, 4 December 2013, retrieved 7 December 2013. ^ "Liverpool Psych Fest", NME, 30 September 2013, retrieved 7 December 2013. Bellman, Jonathan (1998). The Exotic in Western Music. Northeastern University Press. ISBN 1-55553-319-1. Blake, Andrew (2009). "Recording practices and the role of the producer". In Cook, Nicholas; Clarke, Eric; Leech-Wilkinson, Daniel (eds.). The Cambridge Companion to Recorded Music. Cambridge University Press. ISBN 978-1-139-82796-6. Hall, Mitchell K. (2014). 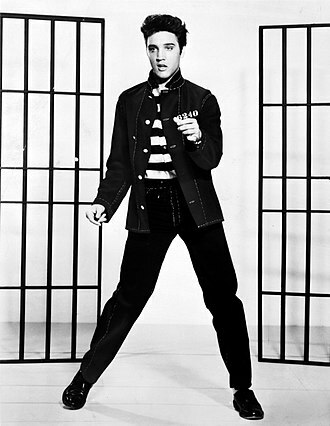 The Emergence of Rock and Roll: Music and the Rise of American Youth Culture. New York City: Routledge. ISBN 978-1135053581. Hanley, Jason (2015). We Rock! (Music Lab): A Fun Family Guide for Exploring Rock Music History: From Elvis and the Beatles to Ray Charles and The Ramones, Includes Bios, Historical Context, Extensive Playlists, and Rocking Activities for the Whole Family!. Quarry Books. ISBN 978-1-59253-921-5. Hicks, Michael (2000). Sixties Rock: Garage, Psychedelic, and Other Satisfactions. University of Illinois Press. ISBN 978-0-252-06915-4. Hoffmann, Frank (2016). Chronology of American Popular Music, 1900-2000. Routledge. ISBN 978-1-135-86886-4. MacDonald, Ian (2007). Revolution in the Head: The Beatles Records and the Sixties (3rd ed.). Chicago: Chicago Review Press. ISBN 978-1556527333. Miles, Barry (2005). Hippie. Sterling. ISBN 978-1-4027-2873-0. Partridge, Andy; Bernhardt, Todd (2016). Complicated Game: Inside the Songs of XTC. Jawbone Press. ISBN 978-1908279781. Perone, James E. (2009). Mods, Rockers, and the Music of the British Invasion. Westport, Connecticut: Greenwood Publishing Group. ISBN 978-0275998608. Power, Martin (2011). Hot Hired Guitar: The Life of Jeff Beck. London: Omnibus Press. ISBN 978-1-84938-869-6. Simonelli, David (2013). Working Class Heroes: Rock Music and British Society in the 1960s and 1970s. Lanham, Maryland: Lexington Books. ISBN 978-0739170519. Unterberger, Richie (2002). "Psychedelic Rock". In Bogdanov, Vladimir; Woodstra, Chris; Erlewine, Stephen Thomas (eds.). All Music Guide to Rock: The Definitive Guide to Rock, Pop, and Soul (3rd ed.). San Francisco: Backbeat Books. ISBN 978-0879306533. 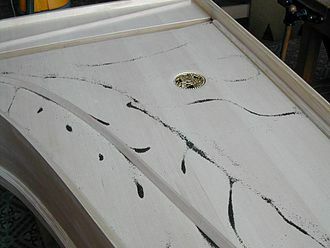 Art rock is a subgenre of rock music that generally reflects a challenging or avant-garde approach to rock, or which makes use of modernist, experimental, or unconventional elements. Art rock aspires to elevate rock from teen entertainment to an artistic statement, influences may be drawn from genres such as experimental rock, avant-garde music, classical music, and jazz. The genres greatest level of popularity was in the early 1970s through British artists, art rock is most associated with a certain period of rock music, beginning in 1966–67 and ending with the arrival of punk in the mid 1970s. After, the genre would be infused within popular music genres of the 1970s–90s, in the rock music of the 1970s, the art descriptor was generally understood to mean aggressively avant-garde or pretentiously progressive. Art rock is used synonymously with progressive rock. Historically, the term has been used to describe at least two related, but distinct, types of rock music, art rock emphasizes Romantic and autonomous traditions, in distinction to the aesthetic of the everyday and the disposable embodied by art pop. Common characteristics include album-oriented music divided into compositions rather than songs, with complicated and long instrumental sections. 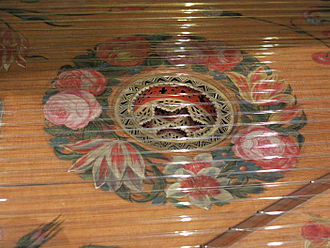 Its music was used within the context of concept records. Compared to progressive rock, art rock is more challenging and unconventional and less classically influenced, art rock can to refer to either classically driven rock, or a progressive rock-folk fusion. S. Eliot than to Carl Perkins or Willie Dixon, the boundaries between art and pop music became increasingly blurred throughout the second half of the 20th century. The first usage of the art rock, according to Merriam-Webster Online Dictionary, was in 1968. 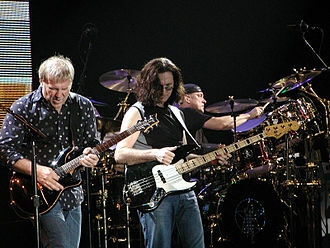 As pop musics dominant format transitioned from singles to albums, many rock bands created works that aspired to make grand artistic statements, as it progressed in the late 1960s – in tandem with the development of progressive rock – art rock acquired notoriety alongside experimental rock. According to biographer Richard Williams, created a new concept, the producer as overall director of the creative process, Spector transformed rock music as a performing art to an art which could only exist in the recording studio, which paved the way for art rock. Haight-Ashbury is a district of San Francisco, named for the intersection of Haight and Ashbury streets. It is called The Haight and The Upper Haight, the neighborhood is known for its history of, and being the origin of hippie counterculture. The street names commemorate two early San Francisco leaders and exchange banker Henry Haight and Munroe Ashbury, a member of the San Francisco Board of Supervisors from 1864 to 1870. Both Haight and his nephew as well as Ashbury had a hand in the planning of the neighborhood, the Haight-Ashbury district is noted for its role as a center of the 1960s hippie movement. The earlier bohemians of the movement had congregated around San Franciscos North Beach neighborhood from the late 1950s. Many who could not find accommodation there turned to the quaint, relatively cheap, the Summer of Love, the 1960s era as a whole, and much of modern American counterculture have been synonymous with San Francisco and the Haight-Ashbury neighborhood ever since. Before the completion of the Haight Street Cable Railroad in 1883, what is now the Haight-Ashbury was a collection of isolated farms and acres of sand dunes. The Haight cable car line, completed in 1883, connected the east end of Golden Gate Park with the geographically central Market Street line and the rest of downtown San Francisco. The cable car, land grading and building techniques of the 1890s and it was one of the few neighborhoods spared from the fires that followed the catastrophic San Francisco earthquake of 1906. The Haight was hit hard by the Depression, as was much of the city, residents with enough money to spare left the declining and crowded neighborhood for greener pastures within the growing city limits, or newer, smaller suburban homes in the Bay Area. During the housing shortage of World War II, large single-family Victorians were divided into apartments to house workers, others were converted into boarding homes for profit. By the 1950s, the Haight was a neighborhood in decline, many buildings were left vacant after the war. Deferred maintenance took its toll, and the exodus of middle class residents to newer suburbs continued to many units for rent. Rabindranath Tagore's Bengali-language initials are worked into this "Ro-Tho" wooden seal, stylistically similar to designs used in traditional Haida carvings. Tagore embellished his manuscripts with such art. 1963 performance flyer, promoting surf musicians. 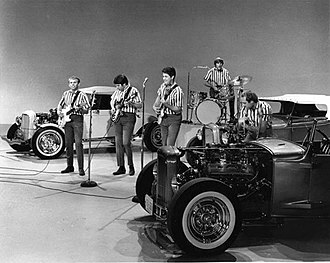 The Beach Boys performing "I Get Around" in 1964. 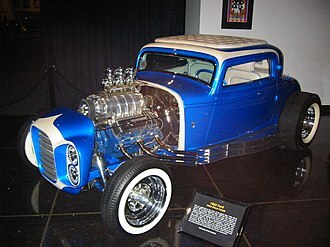 The 1932 Ford that appeared on the cover to the Beach Boys' album, Little Deuce Coupe (1963). Blue Öyster Cult performing in 2006.